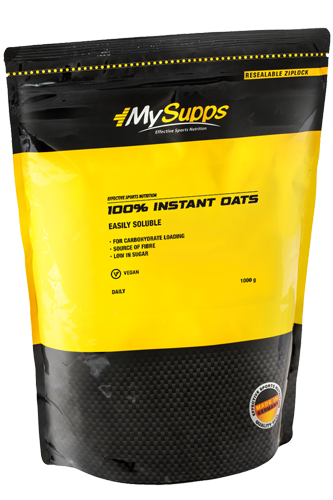 The Instant Oats from My Supps are made of ground oat flakes which are the perfect ingredient for porridge, cereals, soups or smoothies. Content is sufficient for use according to our recommendation for 10 day(s). Oat flakes are rich in carbohydrates and provide you energy. So you can start the day full of energy. 100 g of My Supps 100% Instant Oats deliver 69.6 g carbohydrates, about 11 g of protein, about 5 g of fat and 4 g of fiber . Furthermore, My Supps 100% Instant Oats contain thiamine, phsophor, iron, zinc and magnesium.